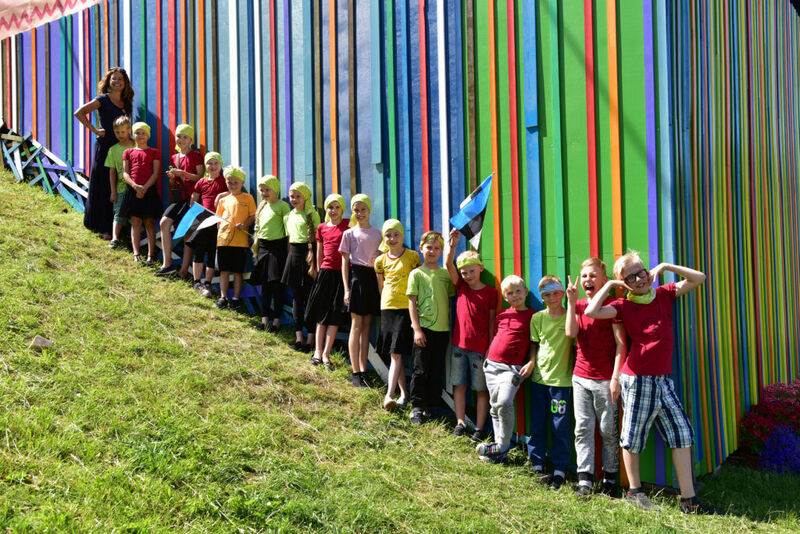 Almost 40,000 young singers and dancers gather to the Estonian capital to take part in the 12th Youth Song and Dance Celebration, lauding the connection between the younger generation, their homeland, their culture and the older generation – their roots. The tradition of the Estonian song celebrations dates back to 1869 and has for long been among the most important ways to carry on the national identity and an independent spirit. 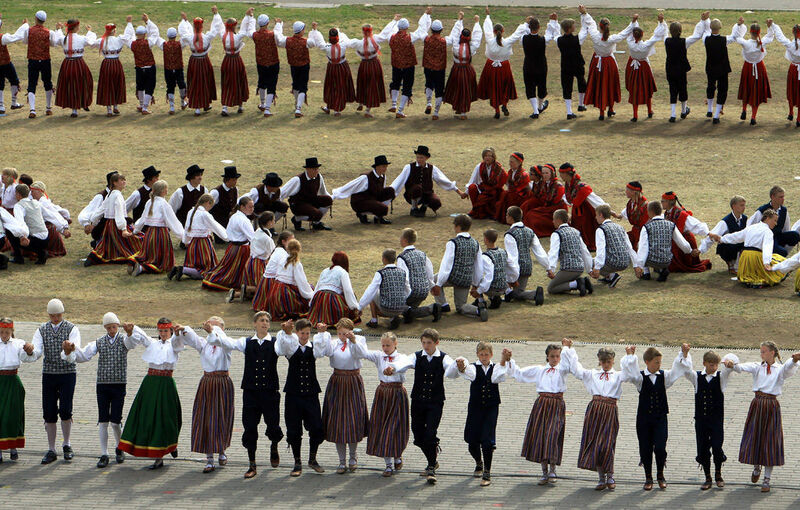 Indeed, in 2003, UNESCO proclaimed the Estonian Song and Dance Celebration tradition as a Masterpiece of Oral and Intangible Heritage of Humanity. The Youth Song and Dance Celebration is a relatively newer phenomenon – the first one took place in 1962. 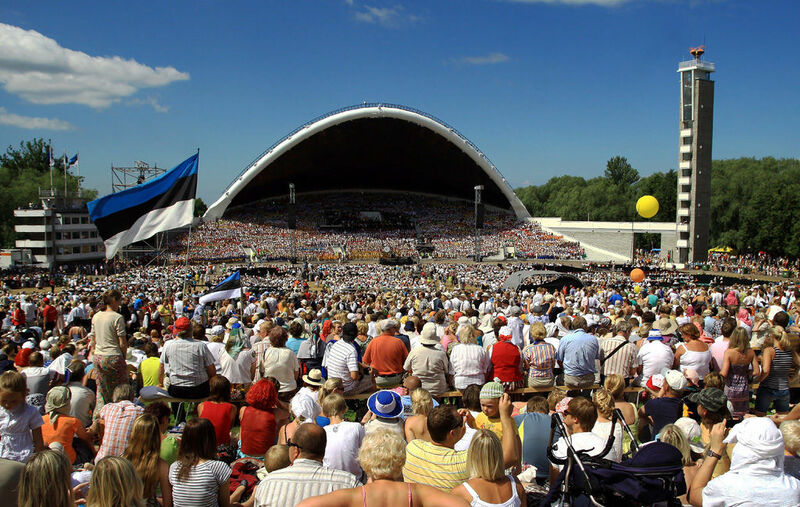 Happening only once in every five years, it is held at the Tallinn Song Festival Grounds and the Kalev stadium – just like its “older brother”, the Estonian Song and Dance Celebration. 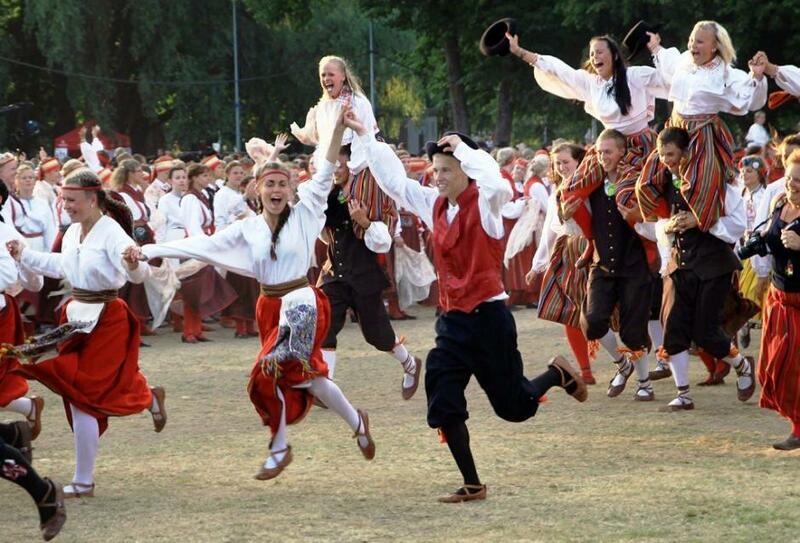 But unlike the “grown-up” of the Estonian song festivals, the participants of the youth celebration are usually in the age range of 7-27 years. Every celebration is assigned a specific theme that is symbolic to the time we live in and to what the society is coping with. The production then follows this theme and narrates a story via singing. Although the whole event involves both singing and dancing, the first naturally forms the backbone of the celebration. This year, 797 singing collectives will be looking to accommodate themselves under the historical arched stage in the Song Festival Grounds – the stage fits up to 20,000 singers. The Youth Celebration is not only special for the tender age of its participants, but also for showcasing fresh talent – many young composers, singers and dancers get the chance to show new artistic developments, with young conductors gaining their first festive experience alongside their older, more experienced colleagues. The massive event kicks off with dancing on Saturday, 1 July, when over 8,000 dancers gather to perform for up to 10,000 spectators at the Tallinn’s Kalev stadium. The preparation of the dances begins years before and the selection process for the groups accepted to the celebration takes place just a few months before. Dancers from all over Estonia come to the capital one week before the celebration to put together a show that will be performed three times. The choreographers create dances for each dance group, including children, women, men, couples and grannies. More powerful in scope and participation is the singing celebration on the second day. Those people who don’t have either the time or money to spend all day admiring youth choirs, have nevertheless a chance to see the five-kilometre (three-mile) procession that takes all choirs and dancers from the centre of Tallinn to the Song Festival Grounds. This is a great opportunity to see Estonian traditional costumes and feel the uplifting festival atmosphere also outside the Song Festival Grounds. Over 30,000 singers will participate at the song celebration this year – approximately 10,000 of them are male and 20,000 female. The youngest participant is four years old, while the average age of the participants is 14 years. Besides Estonian choirs and dance groups, 17 troupes from abroad will be taking part in the celebrations. This year’s singing event stands out for a special reason – next year, Estonia celebrates its centenary and on the occasion, a song will be recorded at the 12th Youth Song and Dance Celebration and subsequently sent to outer space with Estonian-made satellite in 2018. The song, “He Flies Towards the Beehive“ (“Ta lendab mesipuu poole”), composed by Peep Sarapik to the lyrics of Juhan Liiv, was chosen in advance by public vote out of this year’s programme. “He Flies Towards the Beehive”, which was selected over seven other choral songs, was first performed at a youth song celebration in 1993 by mixed choirs, while joint choirs have been singing it at the grand finale of all song celebrations since 1999. Since then, this rather beautiful tune has become one of the nation’s firm favourites at these events. The song will be recorded during the song celebration, saved in the memory of Estonian satellites ESTCube-2 and TTÜ100, and then sent in 2018 and 2019 to outer space. As sound waves don’t spread in vacuum, it is not possible to hear the song directly in space. However, it is possible to receive it digitally via satellite connection and then listen on the Earth whether it has attached some cosmic tunes or not. For that purpose, the teams who build the satellites will also arrange under the Estonia 100 anniversary programme several workshops for schools all around the country and help to build satellite receivers. Coincidentally, flying a song to space is a gift from the Estonian satellite programme to the nation on the occasion of 100th anniversary of the Republic of Estonia.